Over 200,000 people die each year in the U.S. from sepsis, and an estimated 18 million worldwide. Endotoxins, which are fragments of bacterial outer membranes, trigger the septic reaction. 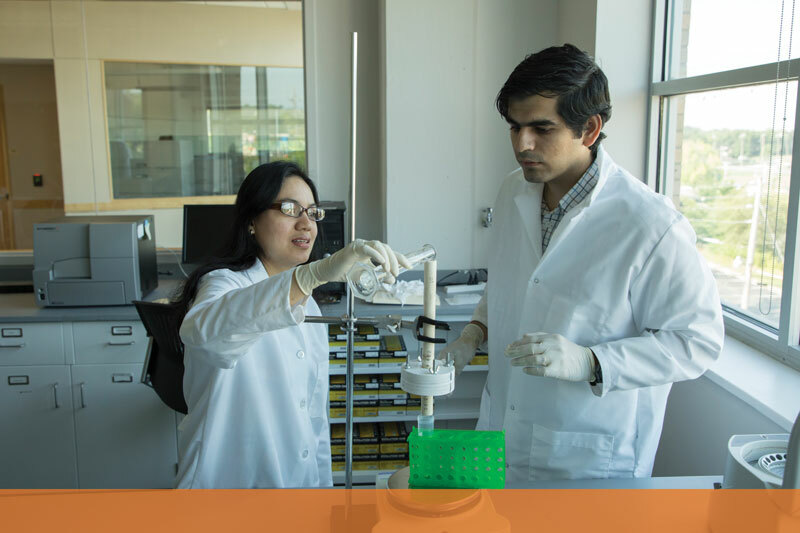 Sutapa Barua (above, left), assistant professor of chemical and biochemical engineering, has found a better way to remove those endotoxins from liquids. She was awarded a federal patent in March for a method that uses polymeric nanoparticles to remove the deadly toxins from water and pharmaceutical formulations. She plans to develop a low-cost, portable bio-filtration kit to synthesize nanoparticles that can absorb water-borne toxins. Barua hopes this research will improve drug safety and increase access to clean drinking water. 1 million units per milliliter of water — all while using only a few micrograms of the material. After synthesis, the particles were characterized with a transmission electron microscope and dynamic light scattering. Using a custom-made fluorescence assay, Barua was able to gauge how well the endotoxin bound with the nanoparticles. She used the fluorescent compound BODIPY to tag the endotoxin for identification purposes.